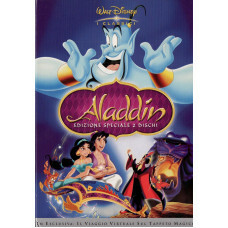 2 DVD "ALADDIN" + VIDEO MUSICALI + CONTENUTI SPECIALI E GIOCHICARTONE ANIMATO - VERSIONE PRIMA USCIT..
APPUNTAMENTO A ISCHIA RARO DVD fuori catalogo "APPUNTAMENTO A ISCHIA" con DOMENICO MODUGNO ..
GHOST RARO DVD "GHOST" con PATRICK SWAYZE , DEMI MOORE , WOOPY GOLDBERG - ..
ANGELINA JOLIE raro BOX 2 DVD SPECIAL COLLECTOR'S EDITION "LARA CROFT TOMB RAIDER " 20..
MINA RARO DOPPIO DVD "APPUNTAMENTO IN RIVIERA" con TONY RENIS + "IO BACIO TU BACI" con A..
DVD "THE NIGHT BEFORE CHRISTMAS" Animazione 2004 REGIA: CAST: DUR..
DVD VOGLIAMO VIVERE! REGIA: ERNST LUBITSCH CAST: CAROLE LOMBARD DURATA: 94 CAT.N. 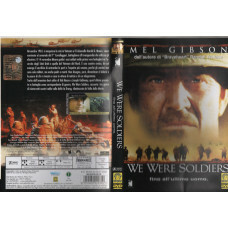 803297968..
WE WERE SOLDIERS RARO DVD "WE WERE SOLDIERS" con MEL GIBSON - STAMPA ITALIANA / ..
DVD "WINNIE THE POOH - TEMPO DI REGALI" Cartone animato WALT DISNEY DURATA: 61 CAT.N. DISNEY DVD ..
DVD "WINNIE THE POOH E GLI ELEFANTI" Cartone animato WALT DISNEY DURATA: 65 CAT.N. DISNEY DVD 871..
WRESTLER RARO DVD WRESTLER con MIKEY RORKE , MARISA TOMEI- NUOVO SIGILLATO sealed- STAMPA ITALIANA..